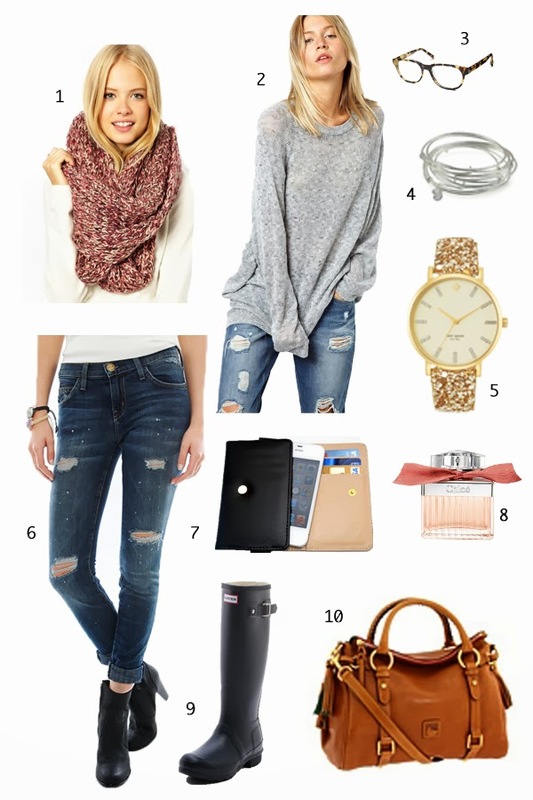 a few must-haves for this week including an amazing kate spade watch and the comfiest sweater and chunky scarf from asos! i'm also thinking these navy hunter boots are a must! Ooh love #2!! So cozy! I want that sweater AND the scarf. SO comfy! I have the dooney and bourke purse. I love it! The only problem I've ever had with it is that my dark denim has colored part of the purse from rubbing against it.